Samsung has tripled the size of its apps store in the UK and other European, Asian and Latin American markets, to support the launch of the Samsung Wave. 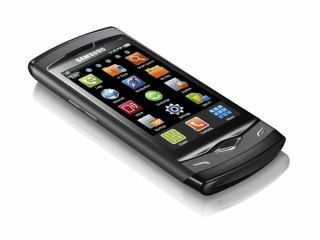 The Wave is the first phone to offer Samsung's Bada operating system, and the company is keen that the increasingly important application access does not become a hurdle for its smartphones. To that end, the company has expanded its Samsung Apps store – with a statement stating that it has 'more than tripled in size' for Wave. "Launching the application store has enabled Samsung to increase smartphone sales, while at the same time add value for our existing customer base," said Samsung's Kanghyun Kwon. "Samsung Apps allows users to discover new apps, which are consistently making our smartphones more useful, productive and entertaining. "In the future, we will continue to offer apps perfectly optimized for our smartphones, and introduce new devices to fit all lifestyles." The doyenne of app stores is, of course, the Apple App Store which has set the standard for its competitors, and even with the increase Samsung's App store lags well behind it in terms of offerings.